Bradley Hunt is a Heiltsuk First Nations from Bella Bella on the Central Coast of BC. 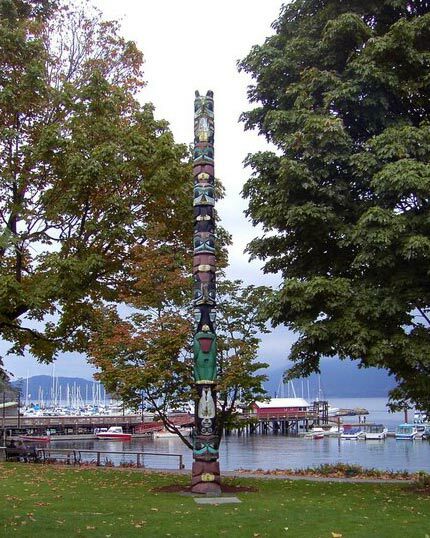 He attended the Vancouver School of Art for two years and then graduated with a B. Ed. double art major from the University of BC. Bradley spent 11 years teaching at the elementary school level before becoming a full time artist in 1985. He works primarily in wood, carving cedar into beautiful pieces of Art. Raven, the crest figure on his grandfather’s side of the family, is his inspiration and is most prominent in his work. Recently Bradley has returned to painting and is excited about this new way of bringing the stories and characters of the Northwest Coast to life in a different medium. 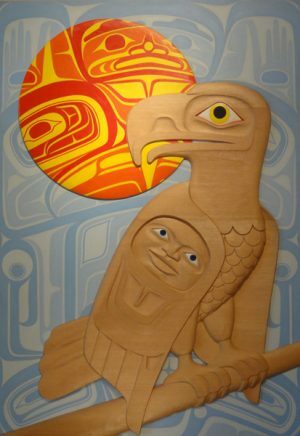 Bradley is a self taught Northwest Coast native artist who has been able to revive the art of his people with his own work and by teaching his sons Shawn and Dean who are also accomplished Heiltsuk artists. Bradley believes you need to learn the rules of the traditional art form and become proficient in creating art using these forms and then and only then, can you push the boundaries of the art in your own style.